As children grow into adulthood, they often find themselves geographically distant from their parents and loved ones due to moving for careers, relationships, or educational opportunities. This can be inconvenient when scheduling holiday visits or other special occasions, but it can be downright scary when your aging loved one needs a caregiver. How can you help take care of your loved one from a few states away? 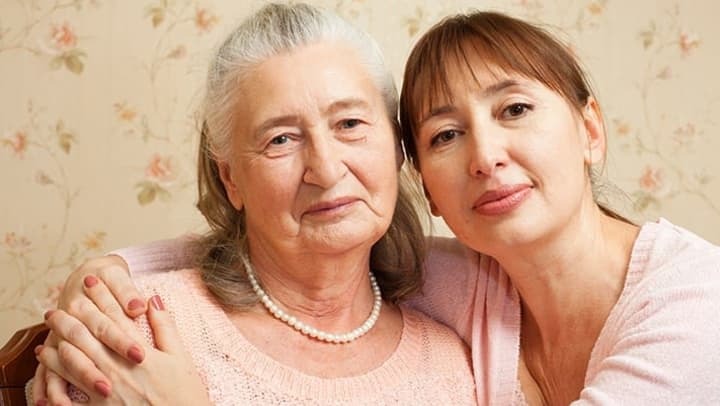 Huffington Post shares a few tips for long-distance caregiving. We'll discuss a few below, and the rest in our next post. 1. Gather Your Forces and Strategize. As soon as possible, meet as a family to discuss the situation. This meeting should include anyone is willing and able to care for your loved one: your siblings, your adult children, your adult nieces and nephews, cousins, etc. While it would be great if you could discuss this in person, you could also settle for a conference call or a Skype session. Determine what level of care is needed, and who is able to do what. Remember to be realistic: Alex lives in town, but he can't spare much time because he's currently taking care of his newborn; Kara lives an hour away, but would be happy to pick up groceries for her granddad once a week. 2. Look into Hiring a Professional. If necessary (and if possible), consider hiring a professional caregiver. These individuals might have medical backgrounds, but are probably not covered by Medicare. You could also approach a nearby relative (or a relative who is willing to relocate) who is able to transition into a full-time paid caregiving role. Even though you are dealing with family, get everything in writing! Informal agreements just won't cut it. Consult with an attorney to determine what documents you need. Ensure that your loved one has up-to-date powers of attorney, both medical and financial. When creating a contract for a family member who becomes your loved one's full-time caregiver, make sure that you clearly state their duties and compensation. We will continue this discussion in our next blog post!